This week I taught my first workshop on Google Classroom to faculty at my new school, and we learned some exciting things together during the session. Having good answers to the question “how do my students turn in their digital work to me as a teacher” is SO important in schools today, and Google Classroom provides some powerful and simple options. If your school or district uses “Google Apps for Education” (GAFE – it’s totally free and without cost to sign up and use) and you’re an upper elementary, middle or high school teacher, or college/university instructor/professor, Google Classroom is definitely worth checking out. In this post I’ll recap some of our key learning points about Google Classroom. 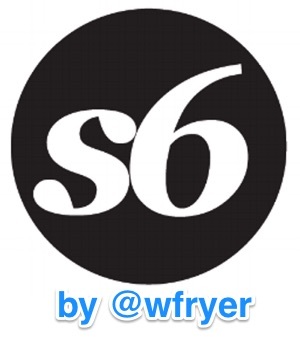 You can access the Google Doc resource page I created for this workshop, which is also linked on the “Workshop Handouts” page of our school IT Support website. When I’ve heard official Google employees talk about Google Classroom at conferences and professional development events, they have been careful to say Google Classroom is NOT an LMS. An LMS is a “learning management system,” and they offer robust course interaction and management features. Examples of popular LMS platforms include Canvas, Blackboard, Moodle, Edmodo, Haiku Learning and Schoology. Back in 2001-2006, when I was the Director of Distance Learning for the College of Education at Texas Tech University, we were still in the formative years of helping faculty use WebCT, which was our institutional LMS. Just as LMS platforms have become a “norm” and standard expectation of most university course experiences today, the use of an LMS is becoming normalized in many K-12 schools. 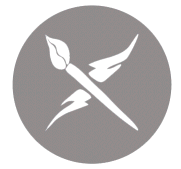 Our school does not require that faculty use a LMS, but we encourage and support their use. So far, even though it may not “officially” be a full-fledged LMS, Google Classroom is my favorite option to recommend and show to faculty. 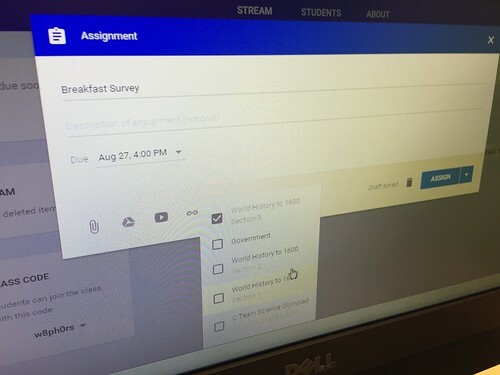 In addition to responding to teacher-posted assignments and questions, students can also post text and attachments “into the stream” of the class, which are viewable by everyone in the class. There does not appear (currently) to be a way to turn off this feature/function, but all posts ARE attributed to the posting account owner (there are no anonymous posts) and teachers can delete/manage all content posted within the course. 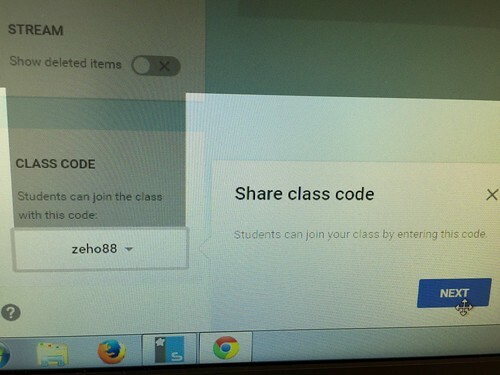 Only students and other teachers who are members of a course can view content in a Google Classroom course. Content is not and cannot be made public, unless a specific Google Document or file is shared publicly outside Google Classroom, using Google Drive. As previously mentioned, one feature of Google Classroom is the ability for teachers to simultaneously post a new (or “re-used”) assignment to more than one Google Classroom class. This is a new feature which was added this summer, and is a BIG help to teachers who have more than one section of the same course during a given semester. To do this from the new assignment dialog window, click the class title at the bottom next to the link icon. Click the checkbox next to all the classes to which you want to add the same assignment. Perhaps the most exciting and useful feature of Google Classroom is the ability to share a document with students, as part of an assignment, and let each student obtain, edit, and later SUBMIT their own copy of that document. BEFORE Google Classroom, this simple act required the use of a fairly complicated Google Script like Doctopus. 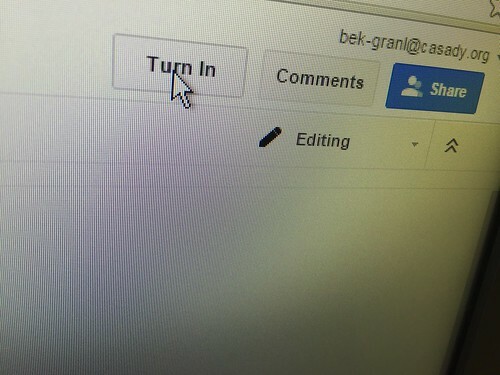 Now with Google Classroom, it’s just a few clicks away. 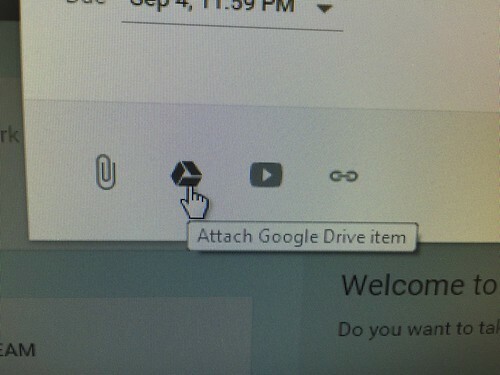 To provide students with their own editable copy of a document template you create in advance, choose to “Attach Google Drive item” to an assignment in Google Classroom. Choose to add a Google Doc, Google Sheet, or Google Slideshow. 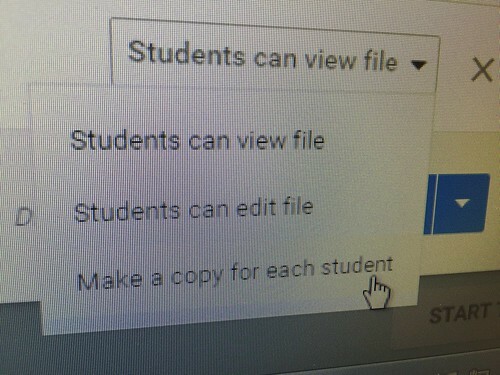 After specifying the assignment due date and time, and adding a title and instructions, in the lower right corner choose MAKE A COPY FOR EACH STUDENT as the sharing option. Those are some of the most significant things I learned sharing this week’s workshop on Google Classroom. I’m excited to see how our teachers will use it in the weeks and months to come with students, and the additional improvements which Google is sure to add as Google Classroom continues to mature as a platform. If you’re leading a workshop on Google Classroom for other teachers, be sure to share this excellent “Quickstart Guide for Students to Google Classroom” by Alice Keeler. And if you’re not following Alice on Twitter yet (@alicekeeler) remedy that oversight immediately! She has some of the best tips on using Google Apps and Tools (including Google Classroom) of any educator on our planet! Thanks so much for doing this. I am building resources and primers for using google classroom so I can share with other teachers in my district. I’m planning to use it with my second graders this year! Thanks for this information! It is helping a lot as I prepare for training sessions for next week. 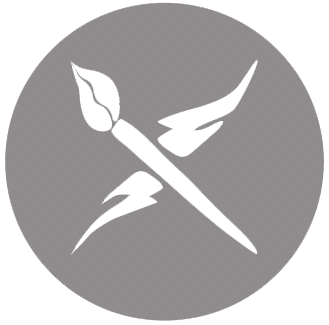 I just wanted to mention that you can turn off permissions for students to post or comment. It’s on the Student page, at the top. You can only do it on the desktop version, not the apps.